I am willing to provide service to a low income client or child on an uncompensated basis during the upcoming year. I have indicated below the types of cases I would consider accepting for pro bono representation. No potential client will be given my name without my specific approval. 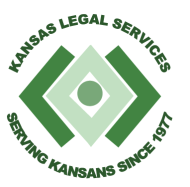 All potential clients will be screened for financial eligibility through Kansas Legal Services. Many of the cases referred will be cases that KLS cannot accept due to conflicts or other barriers. Clients using this program understand that the attorney has agreed to provide services at no cost for the referred case only. Clients also understand that they may be required to pay filing fees, witness fees, etc. Acceptance of the case is with no expectation of payment for my time or office expenses. KLS may be able to help with extraordinary litigation expenses, when the interests of justice require it. * 2. I am a lawyer in good standing with the Kansas Supreme Court. * 3. I have professional liability insurance. * 10. This or these are new area(s) or law for me, please match me with a mentor. * 11. Thank you for completing the application. You will be contacted by your local KLS office. Comments?